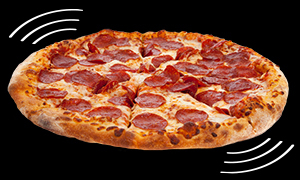 5th Street Pizza was founded in 2006 in Allen, Texas and has been rockin’ the pizza world here for almost 10 years. We were voted Best Pizza in Allen by the Dallas Morning News and Allen Community News. We were also voted Small Business of the Year by the Allen Fairview Chamber of Commerce. We have a huge dining room and seating for large groups with “reservations encouraged.” We also have a private party room that can be reserved with just a phone call*, and of course we offer pick up and delivery. We are located at McDermott Drive and 75/Central Expressway in Allen, right next to Stacy Furniture. Stop by and enjoy your favorite style of pizza and catch a game on our 120″ big screen jumbo television. Or we can box it up for you to enjoy at home. Come and Amplify Your Taste Buds at this family-friendly neighborhood pizza place. We are proudly family-owned and operated. BYOB. Guest wireless services all day, every day. *Minimum for private party room may be required. Call for details.